Today marks 10 months since Qatar Airways, the A350 launch customer received their first Airbus A350 XWB. Pressing it into service between Doha and Frankfurt on the 14 of January 2015, Qatar Airways became the first airline in the world to offer passengers the Airbus A350 service. This has been a long road for Airbus, from conception to testing and finally production. The video of the A350 journey below sums it up very well. Qatar now has 4 of the 43 Airbus A350 900s it has on order. In addition Qatar also has 37 of the larger Airbus A350 1000s on order. The 4 A350s now in service carry the following tail numbers: A7 ALA, A7 ALB, A7 ALC, A7 ALD. These aircraft are used primarily on the Doha to Frankfurt and Doha to Singapore routes at the following times. As you can see it is still quite a rarity to be able to actually see, let alone fly on an A350. If you are lucky enough to be able do either, we would love to hear from you and hear your thoughts below in comments. Whilst Vietnam Airlines is the second operator of the A350, the actual ownership of their aircraft lies with aircraft leasing company, Aercap Holdings N.V. based in the Netherlands. The first aircraft joined the fleet on 01 July 2015 and was used on the Hanoi to Ho Chi Min City (Saigon) domestic route for familiarisation and testing. 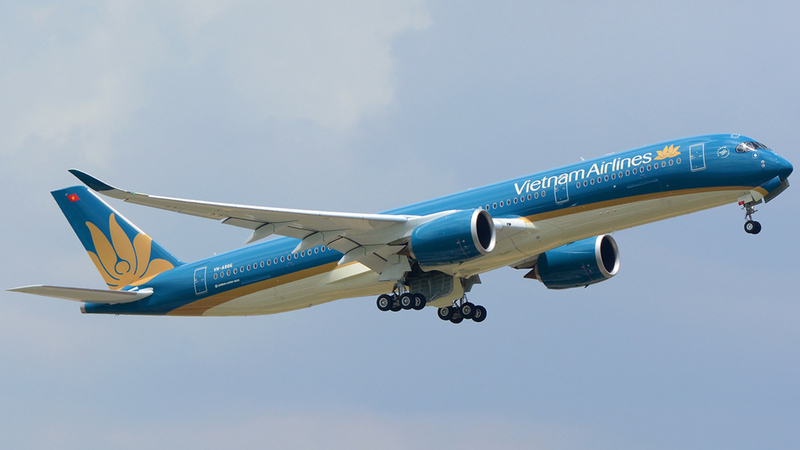 Vietnam Airlines has now received two of the 10 A350 900s they have on order. These two aircraft are registered as: VN-A886 and VN-A887. The current routes served by the these 2 aircraft include, Ho Chi Min City, Hanoi, Seoul and Paris. Air Vietnam the second of the A350 operators. This A350 941, registration VN-A886 was their first aircraft, delivered on 01 July 2015. Once again if you can get a chance to photograph these aircraft, feel free to upload them to our Airliner Photo page.